Supporting important and necessary research is one of our main missions. Our ongoing support of Dr. Neil Iyengars’ research at Memorial Sloan Kettering is something we are very proud of. Dr. Iyengar’s research links inflammation and obesity to increased risks of breast cancer. A key component of Dr. Iyengar’s reaserch is the development of clinical trials- including diets, exercise, and medications that aim to prevent obesity related cancers and well as improve outcomes in patients with fatty-tissue inflammation. KROH supported recent breast cancer prevention research that Dr. Iyengar facilitated in Asia. His studies on obesity being a critical component in the rise in breast cancer in Asian women can be found here. 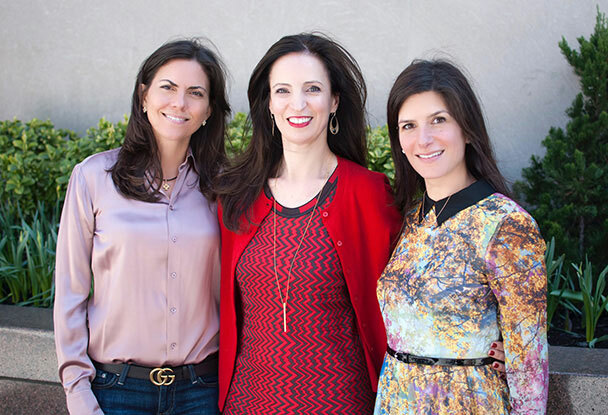 For the second year, KROH partners with Weill Cornell Medical Center to support research under Dr. Eleni Andreopoulou. Her study focuses on genetic risks of early onset breast cancer in women under 40. DNA samples are being collected from 200 women diagnosed with early onset breast cancer who are BRCA carriers and 200 women with breast cancer who are not BRCA mutation carriers. The goal is to identify genetic risk factors that predispose some women to develop breast cancer at a young age and to explain the more aggressive clinicopathological features observed at this younger group and finally to identify possible mechanisms/pathways of intervention. 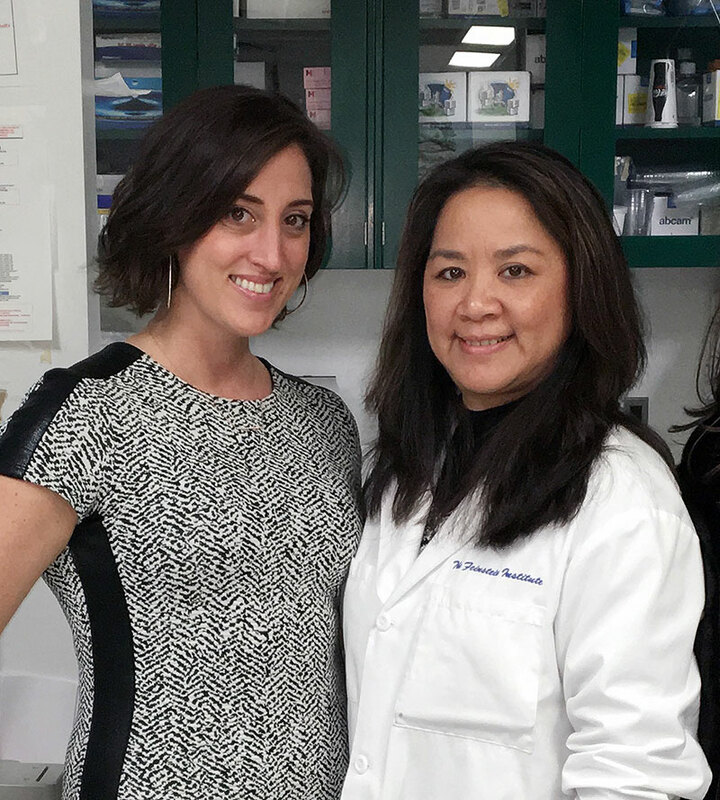 The Feinstein Institute for medical research received their third annual grant from KROH under the direction of Dr. Annette Lee. Dr. Lee continues to use her expertise in genetics to lead her research on biomarkers in cancer. She is currently conducting a study to learn more about how genetic variants act and are influenced by other genes or environmental factors in the development of breast cancer before the age of 40. Women are being recruited with and without BRCA mutations who were diagnosed with early onset breast cancer. If you are interested in participating you will be asked to provide a saliva sample. Please call 516-562-8377 or email tdp@northwell.edu. 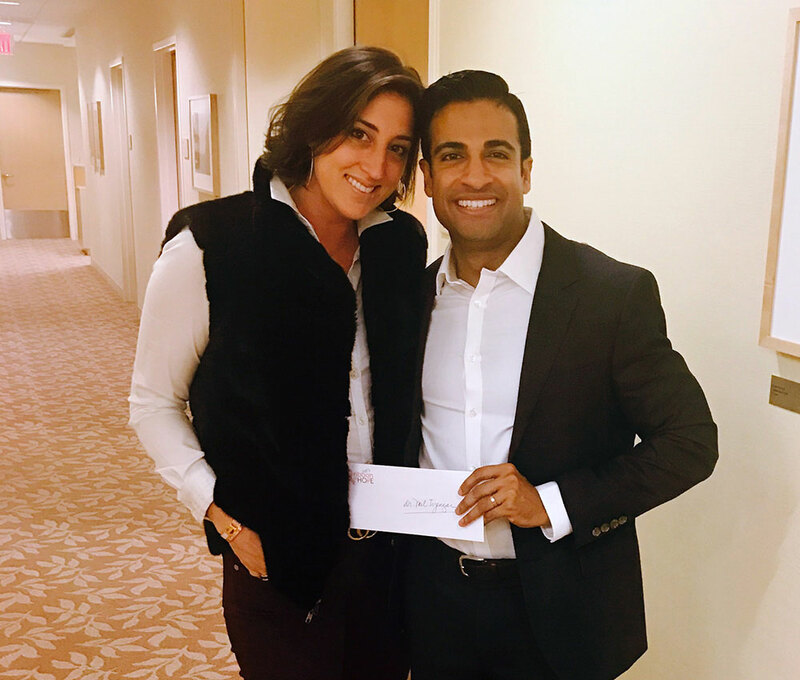 The Adelphi NY Statewide Breast Cancer Program received their 5th annual grant that allowed the program to expand its services for bilingual social work/patient navigation at local hospitals. Two full time social workers are now funded by KROH at the Adelphi Breast Cancer Program. To date we have directly impacted the lives of over 1100 women and their families. The Adelphi NY Statewide Breast Cancer Hotline & Support Program offers free emotional support and information to people coping with cancer. The hotline can be reached at 800-877-8077. Visit us at http://breast-cancer.adelphi.edu/. $3000 Educational Advancement Award to Dr. Annette Lee for Metastatic disease potential in triple negative breast cancer. $1000 Scholarship donation to 7th Summer School in Medical & Biosciences Research Program in Athens, Greece. 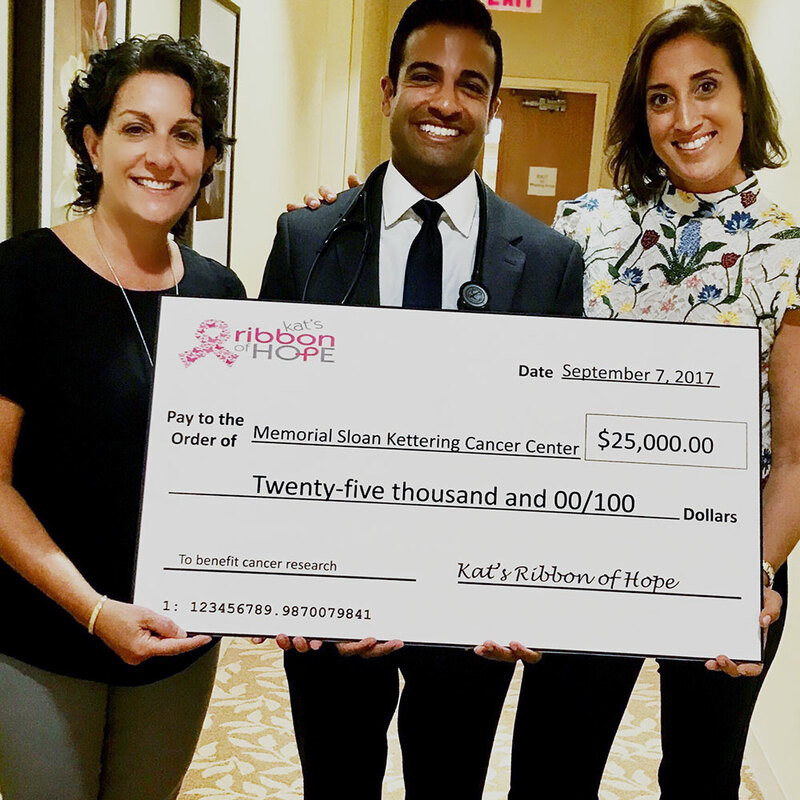 On September 7th, Katerina Raptis and Anna Karacostas presented Dr. Neil Iyengar with a grant check for $25,000 to be allocated towards Dr. Iyengar’s medical research for breast cancer. The funds were raised in May of 2017 along with Steve and Sofia Koutsoumbaris at Allora Kitchen and Bar in Queens. Katerina Raptis also presented an additional check of $6,500 from the generous donations from family and friends of Dalith Seldman Edgar on the occasion of her birthday. We are ever grateful for the love and support of our dear family and friends. It is because of you that KROH has awarded over $55,000 to MSKCC this year.